Political economy a reality for central bankers. Terming politics as an important force in determining tactics of economic policymakers, the RBI Governor Raghuram Rajan has said the framework in India allows the central bank a \"protection\" to some extent and its policy has been to take the heat away from the \"political economy\". Washington: Terming politics as an important force in determining tactics of economic policymakers, the RBI Governor Raghuram Rajan has said the framework in India allows the central bank a "protection" to some extent and its policy has been to take the heat away from the "political economy". Rajan said RBI's policy process involves trying to "take the heat away from the political economy and put it on frameworks, technical models, projections, et cetera, and say, 'What we are doing is disinflation without worrying too much about distribution'. "To some extent, that framework allows us protection". Addressing the famous Jackson Hole economic symposium of the Kansas City Federal Reserve in Wyoming, Rajan said politics and history both have been important forces in determining the economic policymakers' goals and tactics globally. "Political economy is not an aberration, but a reality that should be accounted for in our policy analysis," he said. Interestingly, it is the same summit where Rajan had once famously presented a paper that talked about an imminent global financial crisis, which eventually hit the world markets in 2007-08. Rajan was IMF's chief economist when he made that famous 'prediction'.At this year's symposium, which ended last night, Rajan said when it comes to the modern central banks' focus on targeting inflation, it is the "history and political economy" that determines which side of the inflation band needs to be emphasised. Talking about Japan's aging population, Rajan wondered whether the political power of the elderly were the reason for the country's tolerance for deflation. Others on the panel included Federal Reserve Vice Chairman Stanley Fischer, Bank of England Governor Mark Carney and European Central Bank Vice President Vítor Constancio. Rajan said that unlike most of the advanced economies, inflation has remained very high in recent years and he was trying to bring down the high inflation rate while addressing the issues like high interest costs and currency fluctuations that were hurting manufacturers. "Unlike our other panelists, I have the problem of dealing with the traditional central banker problem of high inflation and the task of bringing it down. We are disinflating in a world of very low global inflation and that has problems." 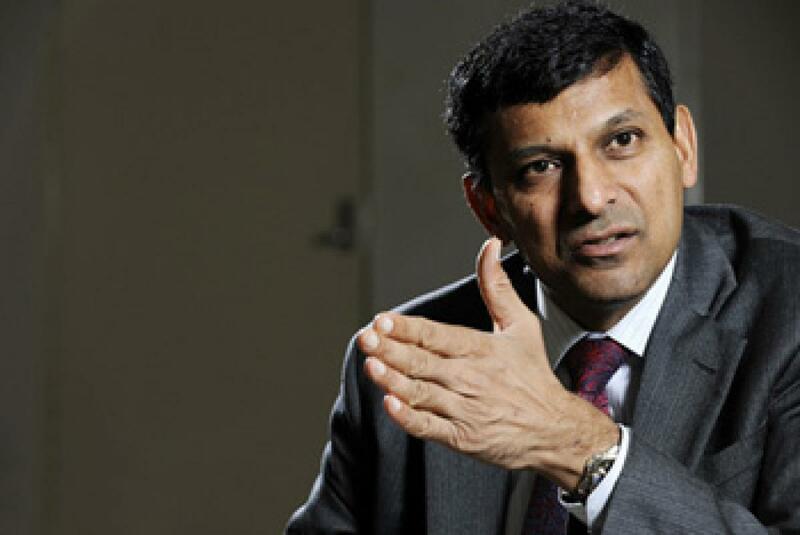 On the sidelines of the event, Rajan also told Wall Street Journal in an interview that the growth in global economy has still not picked up in a significant way, except for the US and the UK. Asked about the Chinese crisis, Rajan said it was hard for an outsider to gauge exactly the seriousness of Chinese economic problems and there was "a whole lot of uncertainty to come from a country". The impact on India of the uncertainty about the potential for an interest-rate increase by the US Federal Reserve, Rajan said the Fed's move can exacerbate the volatility of it comes at a time when there is already a lot of volatility in the markets. "That said, I think it's to nobody's interest to get a US moving back into difficulty or into harder times. It is appropriate that the interest rate move be attuned to the conditions in the US economy."